PANTONE INC is best known for its color matching system that is used by companies to coordinate colors across product lines. Twice a year the company holds a meeting where the color trends for the next season are decided upon (now you know why you can't buy navy blue anymore!). 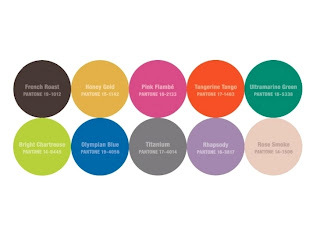 The colors for FALL 2012 have just been announced. So check your closet and see what you already have to be TRENDY! So what is in the KITTYKAT line that works with this color palette? Lots!